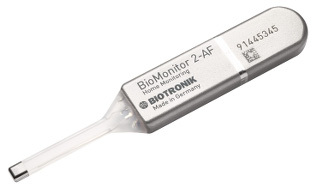 Marlou Janssen calls Biotronik the best-kept secret in cardiac rhythm management. In this Q&A, she reveals the new technologies that will change that. In the world of cardiac rhythm management in the U.S., the companies that jump to top of mind are Medtronic, St. Jude Medical and Boston Scientific. Yet, there is a fourth company too -- Biotronik. In an interview at the Heart Rhythm Society's annual meeting in San Francisco in early May, the president of the German company's U.S. subsidiary, said that hospital will be attracted by new technologies that the company is launching. Biotronik has already seen growth in its CRM market share, she declared. After all, Biotronik was the company that had the first FDA-approved home monitoring system that transmitted data from implanted cardiac devices, she reminded. What follows is an edited Q&A where Janssen talks about market trends and highlights the novel technologies that make Biotronik a compelling vendor to hospitals and healthcare systems. MD+DI: Hospitals have been consolidating the number of vendors they work with so if they have two, maybe three, vendors, how can Biotronik get its foot in the door? Janssen: I think that we see a complete reversal of that trend at the moment. So whereas the trend two or three years ago was that a lot of hospital systems were going to dual vendors, that trend is significantly reversing right now because it has shown to a lot of hospitals that the savings that they originally were anticipating are not happening. Besides, what you see when you go to a dual vendor system is that if technology that is quite unique comes out of a company that is not within your dual vendor contracts, you very much limit the choices of the patient. To give you an example, we are the only company that has DX technology - it's a single chamber ICD with dual chamber diagnostics. It's the biggest growth segment that we have as a company in the U.S. In the month of March, we had a 23% growth of our CRM business in the U.S. and exiting the first quarter, we are at 16% market share with single chamber ICD for de novo implants. This shows a lot of acceptance of that technology. It takes the risk out of the additional leads and it takes a lot of the costs out because the hospitals don't have to buy those additional leads. Nobody has that same technology. It's a special lead that has atrial diagnostic capabilities so it senses the conductivity in the two chambers of the heart where normally you need two leads. Now you have the capability with one lead to do dual chamber ICD capabilities. This is a huge economic advantage for the hospital but also a huge advantage on the safety because leads are prone to fracture and if instead of two leads you only have to implant one that is a significant risk reduction for the patient and significant reduced cost for the hospital. MD+DI: If leads in the heart are undesirable, how do you compete with Boston Scientific's S-ICD, the subcutaneous ICD, which has no leads in the heart at all? I think a lot of the companies are looking at the sub-cutaneous area, but having the traditional single chamber ICD today that delivers real true atrial diagnostic is so unique in the United States and also in international markets that it gives Biotronik a tremendous advantage. A lot of the centers that went to the dual vendor contract cannot get access to some of those latest technologies and they are breaking up contracts left and right for us now to get access to get this DX technology. MD+DI: You said that some hospitals are moving away from dual vendor contracts. Does it depend on hospital size or is it across the board? I think that looking at what Biotronik has done in the last couple of years, one of the things we pride ourselves on is really the very very high quality of our devices. We never ever had a lead recall. We never had a Class 1a recall. Where all the manufacturers moved their facilities to low cost countries, what we have done is fully automated our production process. Our manufacturing is in Lake Oswego in the United States and it's the most modern pacemaker and ICD production facility. Everything there is built by robots, so the automation level is extremely high. So we are increasing the quality but at the same time decreasing the manufacturing costs. MD+DI: Currently in the U.S., the trend is that physicians are becoming employees of the hospital. So physician preference and physician relationship with vendors is no longer supreme. How do you pivot to talk to value assessment committees at hospitals? Janssen: I think that what you are saying is absolutely true. The decision making is shifting very much to the C-suite and I think that becomes a very important customer group for us that this industry has never catered to. At Biotronik we have started an industry-first education program for the very high level, C-Suite hospital executive. It's a training program that has three modules and it's delivered by a very high-level faculty that consists of policy makers, other C-suite executives who have gone through cost optimizations at their hospitals as well as electrophysiologists. We talk about trends, changing government policy, best practices sharing, work flow optimization and cost optimization so that is how we influence what is happening at the executive level. MD+DI: Can you talk about BioMonitor 2 that is going head to head with Medtronic's insertable cardiac monitor Linq? Why would patients want something implanted for diagnostic purposes when wearable patches abound? We deal with an elderly patient population where compliance is very often an issue. 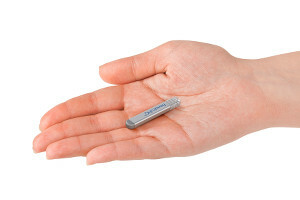 As a physician, after you implant BioMonitor 2, you send them home with the remote monitoring system. They don't have to do anything. They don't have to understand anything. The system does everything automatically. The home monitoring system transmits data everyday, which is very different from any of the other systems. That is a huge advantage. In all of our studies, we have the highest compliance with any company with home monitoring. There are many reasons why a patient would want an implantable cardiac monitor versus a wearable. For example if you need post-ablation monitoring or monitoring for cryptogenic stroke, you need to do that over a long period because problems may not show up immediately. Long term monitoring can also improve quality of life for some patients. They may be able to cut down or completely stop using anti coagulants if they are properly monitored for recurrence of AF. Wearable patches monitor for a limited amount of time. Most of the patches do 24 hours, some 7 days and then you can extend for 14 days. Some patches do 30 days, but that's the most. A lot of patients report skin irritation from the glue from the patches. That I think is the biggest problem with patch technology. MD+DI: Do you see an opportunity in the mobile, wearable field for a company like Biotronik to provide the kind of "Care Beyond the Implant" that Biotronik is talking about at this meeting? Janssen: I think this is a sector that we are very interested in. I think by the third quarter of the year we will move into this area with a patch, a very innovative patch with three leads for EKG and atrial fibrillation monitoring. We are also contemplating some of the new technologies in event recording similar to AliveCor that we can use for healthier patients. This will be a consumer technology device. We are looking into this area as a big potential market for us.